standing chair V seat riser?? I’m having a bit of dilemma about which way to go with my next choice of chair. After getting snowed in for 2 days last winter and not able to get Inca out I was thinking of getting an all terrain chair which had seat riser, they start at about £8,000. I thought the seat riser be handy for getting stuff out of cupboards after trying the Dragon and realising how much easier this made things, without having to try and balance and things dropping out of cupboards if I had to let go of item to grab worktop to stop myself falling over. Unbelivably this chair is £2,000 cheaper than the X5 with no standing feature. 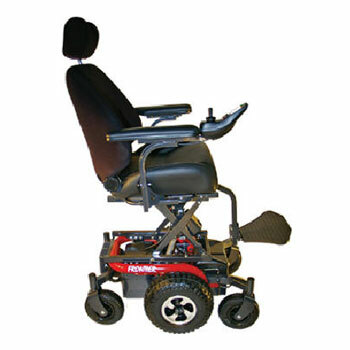 Is it worth investing in the all terrain chair incase we get another bad winter and I can’t get out again or stick with scooter for dog walking? The other week when Inca was sick after we had reached the next village, I relaised that having a scooter footplate was handy as she could get a ride home quickly so I could ring vet. Also she will be 10 next year, with all the hills around here keeping a scooter for her to ride on when the hills get too much maybe a wise idea. 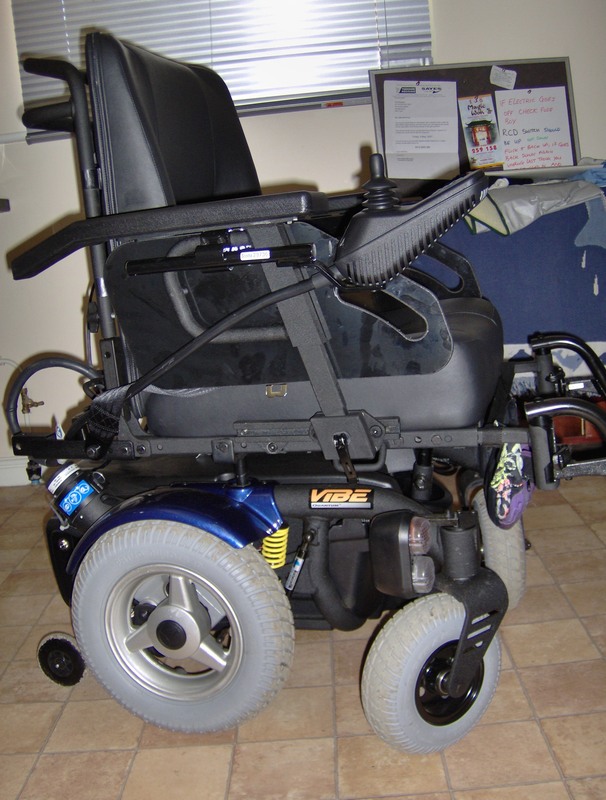 Having a Rear Wheel Drive (RWD) chair in the office which is currently only used as back up and too big to get around the house cos of awkward angles of doorways seems a bit silly, it doesn’t have a seat riser and I can’t use it indoors when needed. It makes more sense to replace that one with one that would be useful in the kitchen and still able to get around the little park and village as back up for when scooter needs repairs. Adding the health benefits of a standing chair for the same price range I was thinking of to get one with recline (so can rest in it/use it as office chair whilst its parked in there!) and riser function to make cooking easier, getting stuff from cupboards, putting shopping away, hanging washing out etc seems more logical. So where’s the dilemma I hear you asking?? I’ve always associated these kinds of chairs with people who are more physically disabled than I currently am. I’m talking like unable to stand/walk or do much for themselves. Should I wait until I can’t stand at all before I should get one of these? Am I going to get the same health benefits if I can only manage to stand 5 mins if I wait a few more years, than been able to stand around an hour a day in it now? I thought it be handy for cooking dinner that usually takes around half an hour and how about half an hour whilst doing physio on wii if I have no other housework to do that day? Standing to paint at my easel rather than sitting at the desk? Been able to stand to get a better photo at the nature park? If you’ve ever tried to hang onto a scooter with one hand whilst trying to get a better pic with the other , you’ll know where I’m coming from there! They all come out blurred from camera shake! Could it work as a preventative solution? ie.. using it BEFORE leg muscles start wasting would keep them strong and delay when the atrophy process starts??? Physiotherapists are always stating importance of weight-bearing exercises, but if you can only hold yourself up for about 5 mins by yourself, are you getting the same benefits as you would been able to stand for an hour with support? (ie the chair is holding your body steady so you can use your arms to do other things). 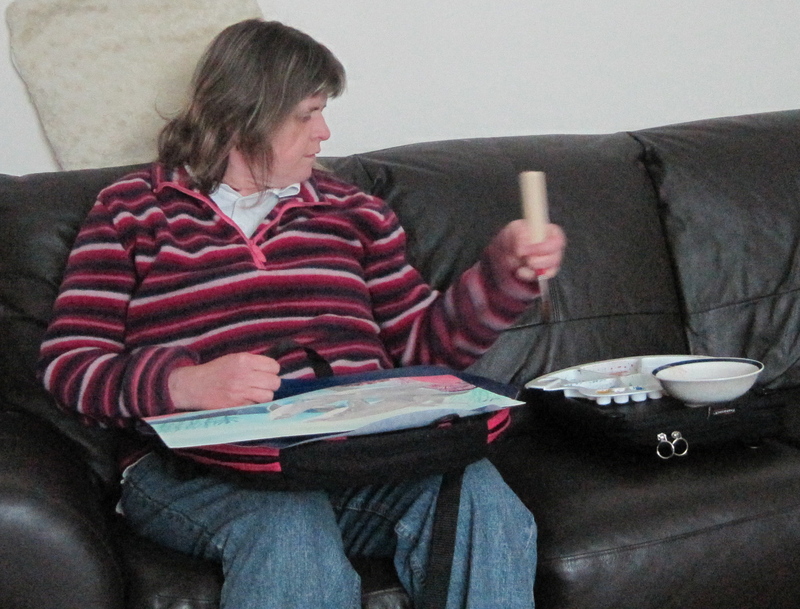 Although the chair stands you up when you use it, I can still continue to include stand-up/sit-down exercises into my physio routine and using the wii balance board for the little games I can manage. I did wonder after seeeing a demo where man removed footplates to show using the genie to stand you up (with feet on floor like for a standing transfer) if I could also use it that way with the balance board so preventing me from falling backwards (as chair is behind me ‘stood up’) but still able to move from side to side on board? I decided the only way to know is arrange a demo so hoping to try one out next thurs, it would need to fit through swing gate and be able to handle the little path and short grass to use as back up chair outdoors as well. And I’ll try out my theory with the balance board, it may enable me to do those exercises for longer than I would have been able to otherwise too. In the meantime, I’d be interested to know what others think about when would be the right time to purchase this chair if it was suitable? I recently received a Trabasack Mini and Trabasack Mat from Duncan and Clare Edwards who make these. 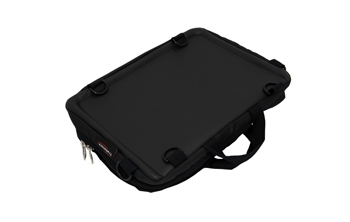 The Trabasack Mini has been updated to include some improvements in the straps and the Trabasack Mat is a new product. 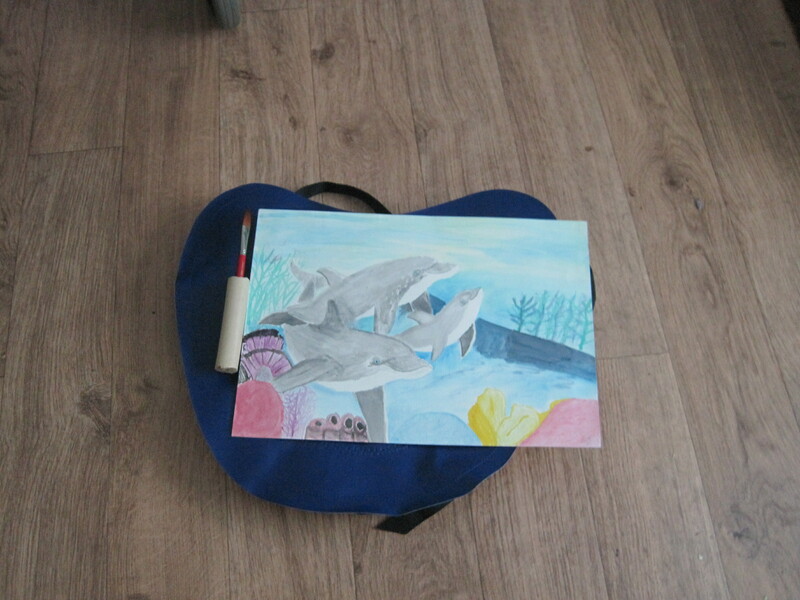 The Mat is just a waterproof Mat that can sit on top of the original Trabasack and can be useful as it is easy to wipe clean, it could be used with child/adult who was messy eater, for a child to colour on so they dont get crayon/pen marks on the actual bag. I tried it whilst painting and using the Trabasack Mini to put my palette and water bowl on. The Trabasack Mini itself has some improvements to the straps. The clips are a bit easier to use and the side straps are longer. Also the D rings are sewn into the strap so they don’t slide about. I bought my first one to use purposefully in place of a mount for my communication aid, but I have found myself using it for many other things around the house too, it comes in very handy and is versatile in a variety of different situations. I think now I have both I will use the mini with travel chair as it will fit nicely on back of my Da Vinci chair just behind the rear bar and can be used as a bag to store Lightwriter/iPad in and then can be used as a tray if needed out as sometimes tables are difficult to get under with wheelchair particuarly if you are using an electric one. 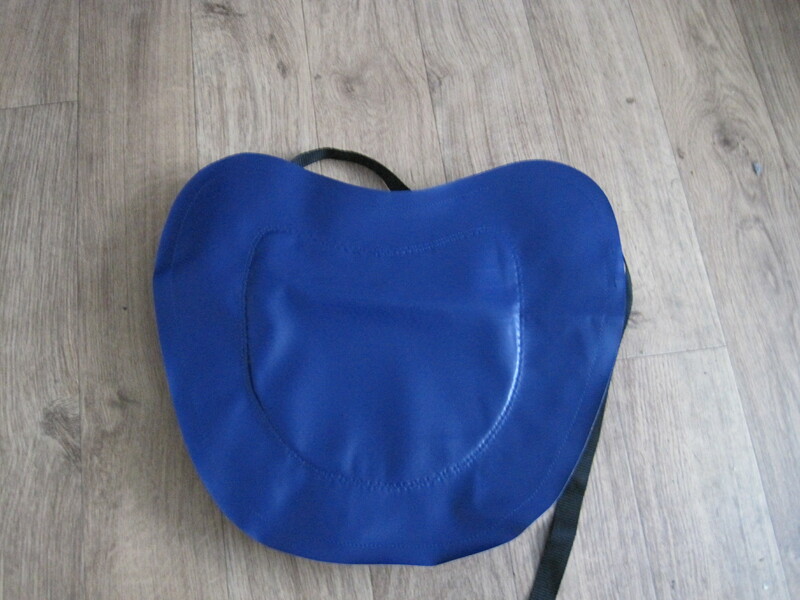 Overall it is an excellent product that can also be used by non-wheelchair users or on childrens buggies. If you are someone who needs some kind of communication aid but doesn’t like traditional wheelchair mounts/trays you may prefer something like this. Here’s few more pics of me using my Trabasacks around the house. Prices start at £34.95 for the Trabasack and Trabasack Minis’. Over the last few years I have noticed that I seemed to have more difficulty picking up my feet. I read about someone who swore by their Piedro (orthopedic) boots and was able to walk much better in them than they could regular shoes. So I got a pair of patent leather ones and these supported my feet but I felt the support needed to go a little higher up to support my lower leg also as I have to try and walk into local co-op using their mini trolley as a walker as the store is too small for electric wheelchair or scooter to get around. I got appointment with physio who didn’t think the NHS would pay for them as she claimed they would be over a £100 for me to walk a few steps between transfers and they wouldn’t allow me to walk everywhere with a stick as before I would still need wheelchair which NHS had already issued me with vouchers. As you can’t get splints or AFO’s (ankle-foot Orthosis) to give them their proper name, in UK without prescription, I had mine imported from the US. 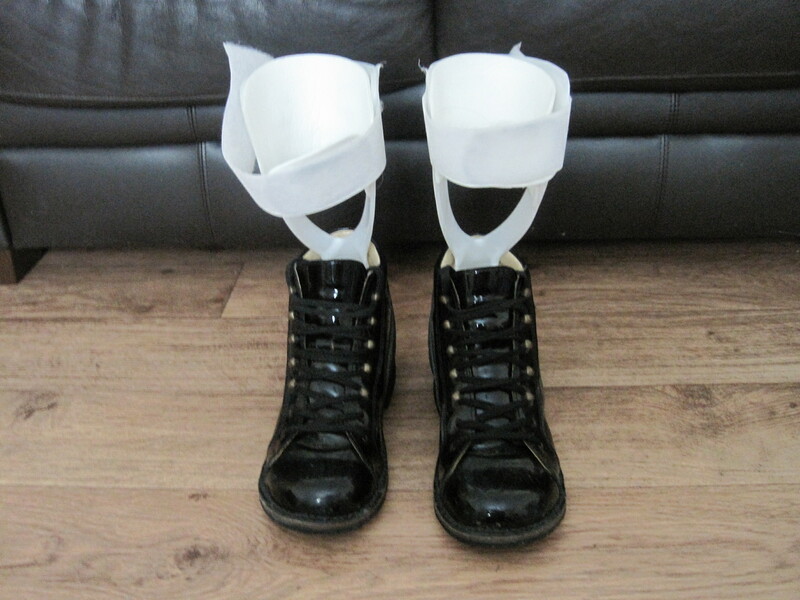 As I had already got my piedro boots in a size 6 my regular size I had to look into the open splint designs that would allow me to fit in the same size shoe. I think they have been worth the money, as when my feet have been very floppy I have still been able to walk enough to get from car into family members houses which aren’t wheelchair accessible and into my local co-op for a few groceries which would have otherwise meant going all the way down the Asda. 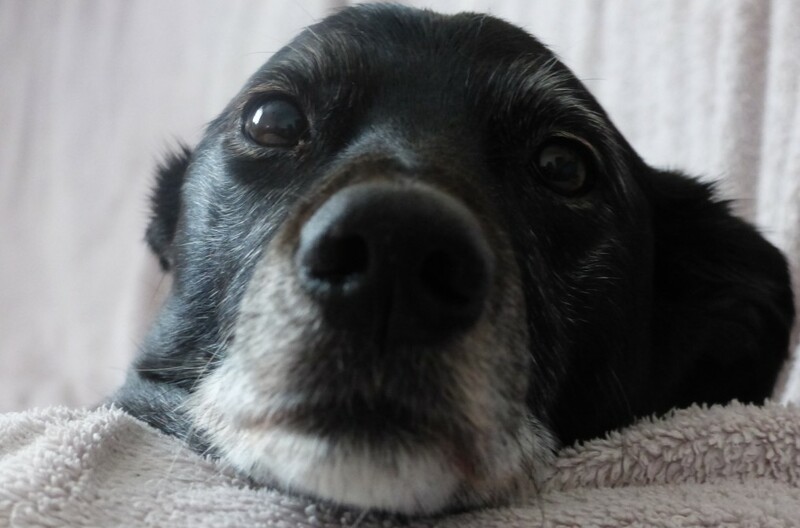 As I can’t take Inca and already have to walk her twice a day, thats three trips out which I find exhausting on a regular basis and when you only want a few pints of milk its a pain as then don’t have time to do anything else that day. 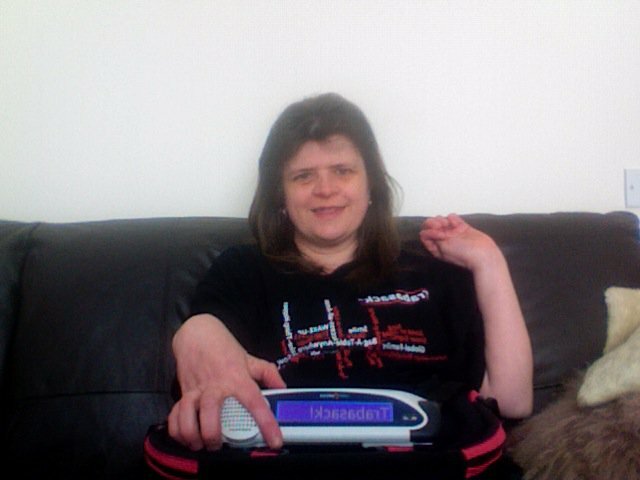 As my muscle tone seems to change throughout the day I am sometimes able to manage in regular trainers although I do find I trip more, drag toes on floor and my lower legs don’t seem as stable, I have to lean on the rollator or crutches alot more so end up with shoulder/neck pain. When I have the Piedro boots/splints on I seem to stand more upright, I don’t lean as heavily forward onto rollator/crutches. I’ve even managed with one stick if theres a wall or another person to help steady me. Next issue: The laces are fiddly when you also get jerky movements of arms from the ataxia too and when its taking a good 10 mins a day to just lace them up everytime you want to wear them I get frustrated as I’m not the most patient person with myself, I still want to be able to do things as fast as I used to be able to. 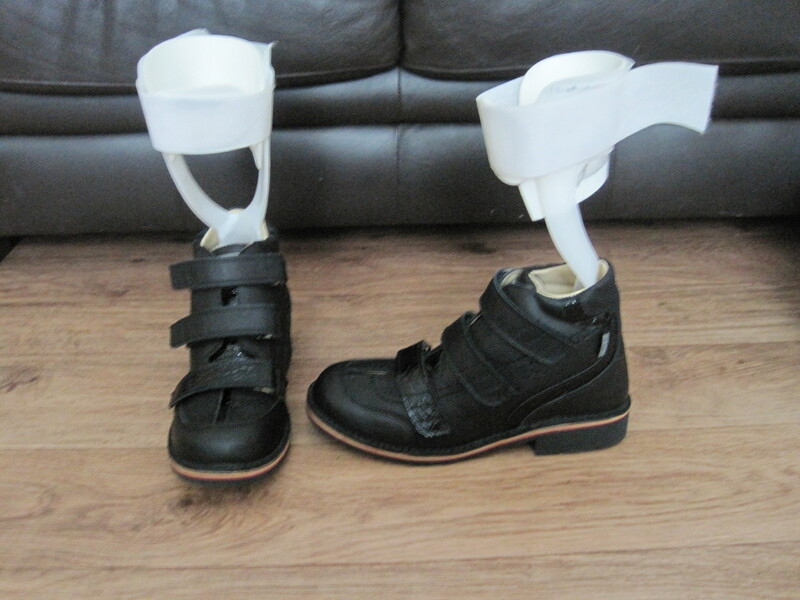 I do still slip regular trainer or ugg boots on if I’m going somewhere and going to be in chair all the time until I get back home, but I have found these boots/splints have helped me personally as living in village in yorkshire, the nearest shops/hairdressers/vets etc aren’t wheelchair accessible. As long as the ground is flat and level I can manage enough to get around my bungalow for a while with rollator, get in and out of shop, or into families house. I also find they help with getting back up off regular sofa’s etc as I can lock legs out and push legs against the splints and front of sofa it helps with standing up and not putting all pressure on my arms to haul myself up. My shoulder/neck pain has reduced since using the boots/splints reguarly. I also do daily exercises for core muscle and leg strength. 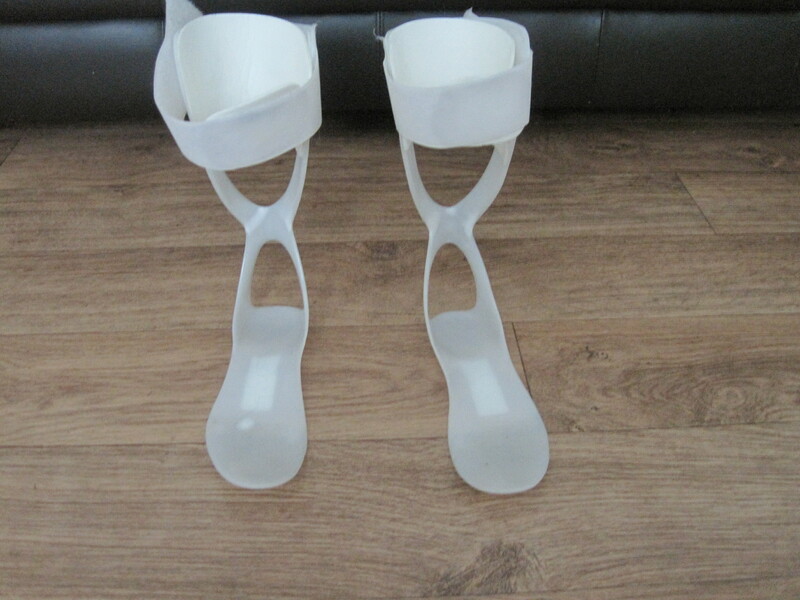 There were some concerns that splints would weaken legs however my legs are quite strong my issues were feet/ankles been too floppy and keeping my balance and co-ordinating my legs when walking. Weight-bearing exercises are important and the wii fit/balance board is great for that. Been able to stand to help others transfer you or help with dressing makes the whole process alot easier, although I dress myself on my bed, I can stand in changing room long enough for friends/family to help me with trying on outfits when I go on the occasional shopping trip. The muscle tone fluctuations are more noticeable in my arms as they constantly twitch as muscles switch from tense to relaxed, unless I’m having a day and they are feeling really floppy and heavy when I need to use arm splints to be able to do things. Trying to hold onto a rollator/crutches while arms are twitching is a risky business so sometimes leaning more weight onto them helps as you walk, this is ok with rollator when arms dont have to move but when co-ordinating crutches so weight shifts on and off them it can make it very difficult as if arm twitches just as you about to put it down on floor and lean weight on it it can slide from under you. I’ve no idea who the woman is! Just thought it better illustrated how it would support you whilst walking with it, than just showing pic of walker on its own. I’m not sure if the tray is on a seat to sit on or its just a tray. 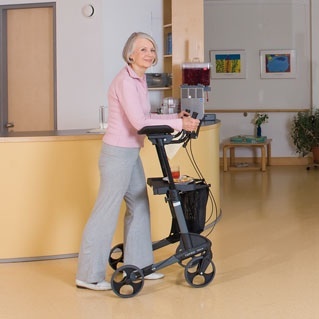 I’m considering it as my next walker for around the house. my usual idea if something is expensive is to get a free home demo, tell them I’m not sure or got others stuff to try then save it as a search on ebay once I know something would definitely work for me… bit cheeky, I know.. but we do what we got to do to survive and get we need! 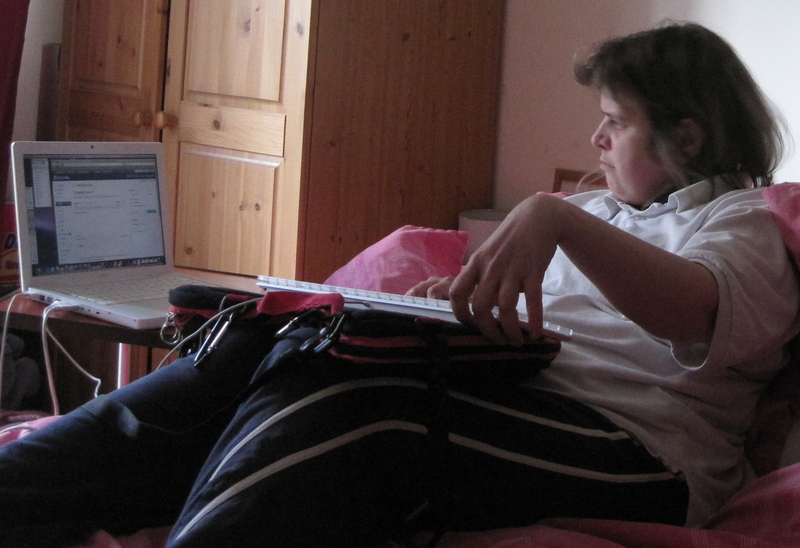 When I first started with Ataxia symptoms I didn’t know what Assistive Technology (AT) was. I had a windows desktop and used it for email and chatting and that was it. Broadband was just appearing but still at high prices like £30 a month and I was still on dial-up so couldn’t afford to stay on long. 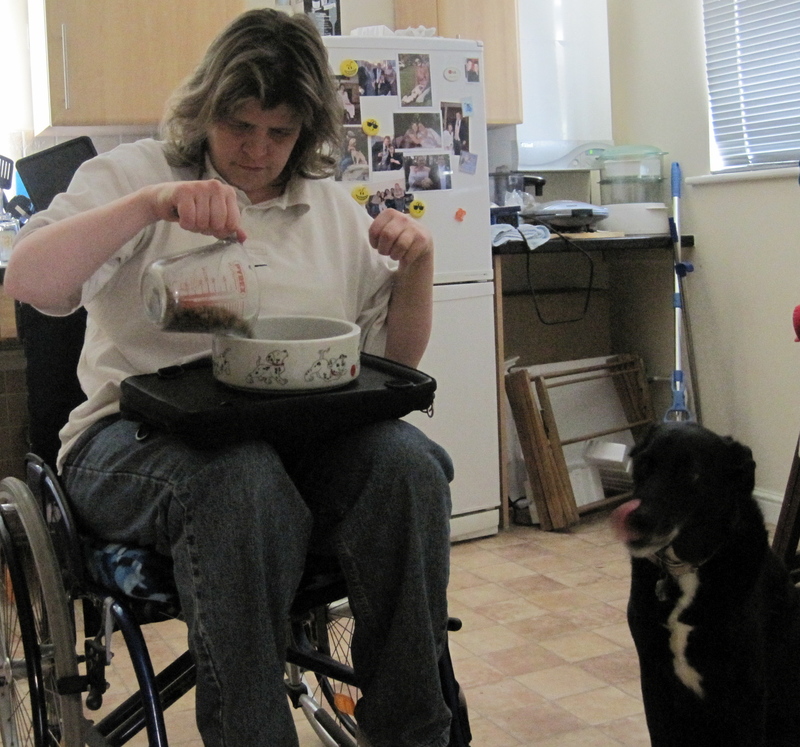 I had an helper in early days who helped with things like getting to the bank and getting food shopping, I didn’t enjoy having an helper, as I have always been an independant person who likes my own space and I hated having to have a stranger in my home, doing things I wanted to be able to do myself. 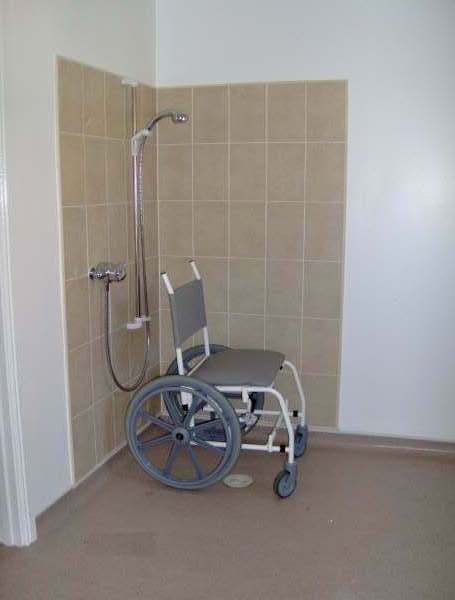 My flat wasnt adapted and couldnt be adapted and the kitchen and bathroom in particular were difficult and in some cases dangerous (trying to get in and out of the bath) to use from a wheelchair. After a frustrating first few years managing in a tiny flat I finally got moved in to my adapted bungalow. With a walk-in wet room and self propelling shower chair I could manage showers safely. The Kitchen with worktops at wheelchair height and cut outs under sink and hob built into worktop also made it easier for me to make my own meals and I had more room to manouvre with my chair and rollator. After I had sorted out my housing I next needed to sort out my computer, I had started getting shopping delivered at my other flat and was beginning to see the potential in how a computer could be a big help. First though I had access issues to resolve, I was struggling with the mouse and the keyboard, things were taking ages to type as had to be so careful not to hit wrong keys, and seemed to be spending more time back spacing and deleting than typing! I saw ‘Big Keys’ keyboards and bigger mice/trackballs then read about word prediction software which I relaised would be a great help. At this time I had an old iBook I had got off ebay for £200 and whilst searching for word prediction software I came across Keystrokes for Mac. I much preferred the interface for this one than the windows equivalents so after reading more on the Mac OS and the new iMac’s which had keyboard with flatter spaced keys that windows computers I decided to take the plunge and switch to Mac completely. 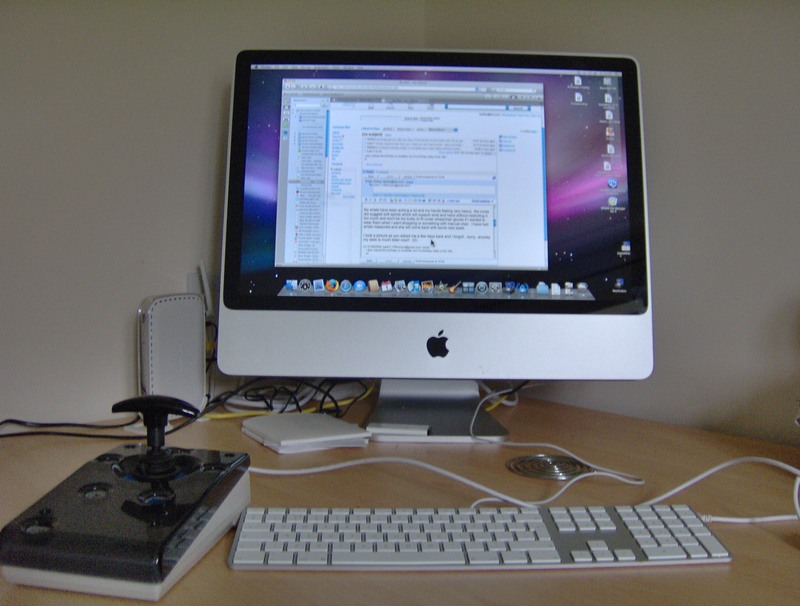 This has definitely been one of my best ever buys, the whole package cost almost £1800 for the high spec iMac, the Joystick Plus, Keystrokes software and a keyguard for the keyboard which I got imported from the US. (plus a printer/scanner/copier combo as my old printer was parallel port connection and iMac only has USB/Firewire). I had now got Sky TV fitted (UK Satellite) and with it I got Broadband internet. It was alot faster than dial up, plus the Mac was faster.. no longer did I have to turn computer on and go make lunch while it took 15 mins to update the antivirus and start up! Even now it starts under a minute and I set it to auto open Keystrokes, Mail and Firefox on start up (all last tabs open.. currently two firefox windows with 6-10 tabs per page). Shopping was easier to do, I learnt to do online banking, no longer did I have to wait to see if my helper was gonna turn up that day. I researched and learnt lots about Ataxia and finally began to understand what it meant and the impact it was going to have on my life. It was more than a case of “been a bit wobbly on your feet'” as one doctor had told me!! With all the hills around here and the stiles/swing gates there were some places my scooter couldn’t get through because it was too long. The nearest park to walk Inca has a swing gate. Taxi’s won’t take mobility scooters anymore cos of their size so my next piece of tech was a robust chair that could handle the hills and little park up the road. I got a Quantum Vibe chair cheap, it only has standard van seating but I’m not sat in it all day and wanted it basically as back up as I prefer my scooter. Its falling apart a bit now and as they arent made/shipped to UK anymore its really difficult and expensive to get parts for repairs which is a shame as its quite a robust little chair and has survived ‘off-road’ gravel and grassy paths it wasn’t originally built for! It doesn’t handle snow well though and have skidded into same wall twice and taken the lights out on the left side! Still I’m glad someone thought to invent an ‘electric wheelchair! ‘ (and the scooter) as I can walk my dog myself, get around village, local supermarket, doctors… without having to wait for someone to come and take me there. My next biggest issue was the ataxia affecting my speech more, my muscle tone fluctuates daily and throughout the day so depending on how tight or floppy or my muscles are it affects my ability to speak and get words out clearly when I can get any sounds out. I may be able to manage 1-2 words in a row for Inca’s commands (Inca sit etc) in the morning, later that day I could be struggling with getting any words out, or when they do come out they slur so a sentence of a few words just sounds like a series of sounds (kinda of what it sounds like for me trying to work out what others are saying). Even when I manage to get some words out clearly my speech muscles quickly tire and after short while of trying to speak I’m struggling to get words out and usually have to go have a lie down and rest. I can sign but thats only useful if others around you sign too, and away from the university environment when I was surrounded by other deaf students, by stark contrast a village in Yorkshire has very few people who can sign fluently. I had originally asked to be assessed for a device called ‘say-it-sam’ which was basically a talking windows personal organiser, however the NHS guy who came to assess me didn’t feel it would be suitable and recommended the Lightwriter. We did try another slightly bigger compact device called Typespeak with a 5″ screen but it was still difficult and fiddly for spontaneous chat, the sales rep suggested the 12″ version instead but that was just like a windows tablet and I didn’t want to go back to windows, if it had had the Mac OS on it I might have gone with that one! The Lightwriter was much easier for me to chat with and I eventually got funding and got my own. The iPhone was still relatively new at this point and only had qwerty keyboard in the portrait mode, I tried a friends and struggled to even type my name, Proloquo2go wasn’t out at that stage. If the iPhone was bit bigger and could talk I knew I would like something like that more compact. Think I’m just a bit ahead of my time sometimes!! This year my ‘dream’ came a little closer to reality when the iPad was released. I was disappointed it didnt have a phone feature as texting on Blackberry is a struggle and the Lightwriter doesn’t come out of sleep mode when someone texts you. (as i live alone and don’t have it on all day, this is a problem for me) people text me on Blackberry so it lights up/vibrates and I can reply on Lightwriter cos its easier to type from. but it be much easier to have just one! I also don’t necessarily have both on me when I go out. I use my iPad for loads of stuff, I take notes on it when researching and can synch notes between Mac and iPad via ‘Simplenote’ app which is compatible with textexpander (abbreviation expansion app), this speeds up notetaking considerably. I use it to set reminders, make lists. Games have been a good way to improve on my multi-touch skills using scrabble, lexulous, word search, sliding blocks games to perfect my dragging skills and I have seen an improvement in my targeting skills, I have just used finger/thumb in main menu’s instead of pogo stylus in weighted holder although it sometimes takes a few attempts. 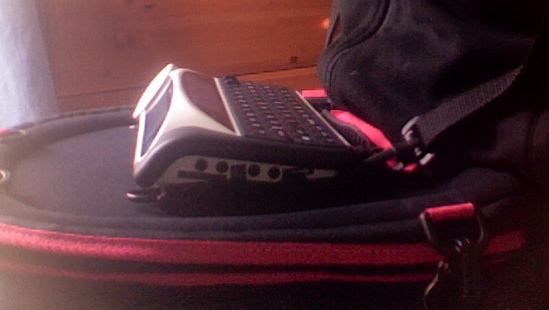 Now if it was just a bit smaller (but not as small as iPhone) and had a case with built in speaker, to make it louder to use as communication aid and give me more to grip onto, a shoulder strap be nice too! Is Steve Jobs telepathic and reading my mind.. lol! 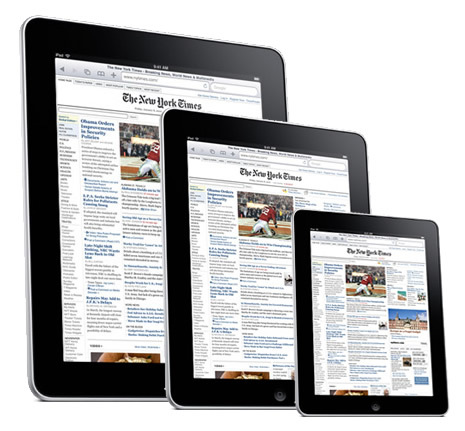 rumours of a 7" and 5.6" Apple iPad mini in time for xmas??? uummm… wondering if I could manage a 5.6″ or 7″ screen to use as an ‘iPhone’!!! Ok, this is an impromptu post as I got very excited about reading rumours of an iPad mini possibly hitting the shops in time for christmas. For people with ataxia using mobile phones with tiny buttons can be a real challenge. Speaking can be difficult because of the effects of ataxia too and sometimes you go out and some peoples can’t understand you. I have wanted an iPhone for years but when I tried the first ones I had problems with the qwerty keyboard in only portrait mode. 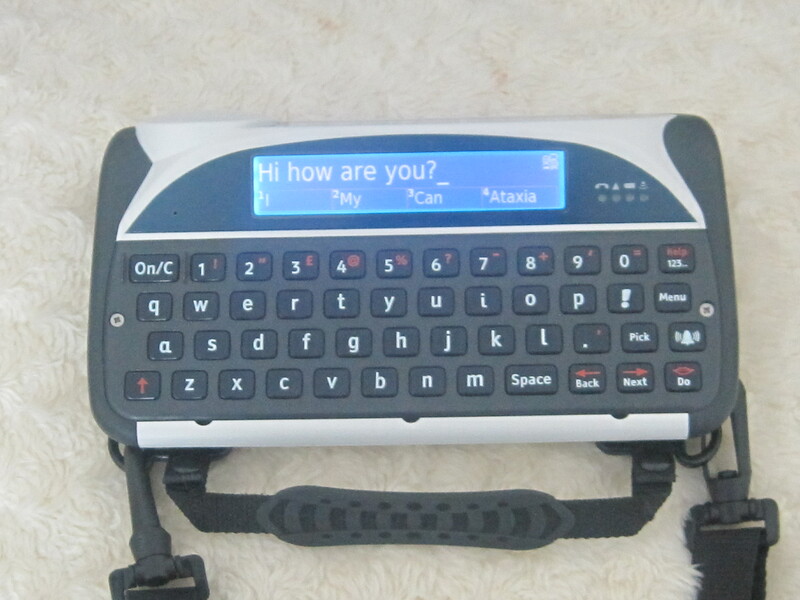 At the time the Blackberry Storm offered the best option for me for texting with built-in word prediction and abbreviations and I now have a bluetooth keyboard also to help with longer texts and creating new templates so I can send a text just by hitting 2-3 letters. Its a good solution but its a shame I couldn’t do it on an iPhone. The new OS4 allows connection to Bluetooth keyboards but the phone seems to have alot of issues for a phone costing over £400, so even though there is now an app which would do the word prediction etc and connect to a Bluetooth keyboard the reception issues worries me when I was dependant on emergency messages getting out! After much pondering over whether I could manage Proloquo2go text-to speech on a smaller screen I decided it would be too much of a struggle for it to be worth paying over £400 for one. I was originally disappointed when I heard the iPad would not have a phone SIM and is data only but now it seems there maybe another solution. The 7″ iPad mini is rumoured to be aimed at business customers so would include a camera for video-conferencing as well as phone capabilities. The screen size is a few inches bigger than iPhone, enough to make a difference to how easy it was to use? 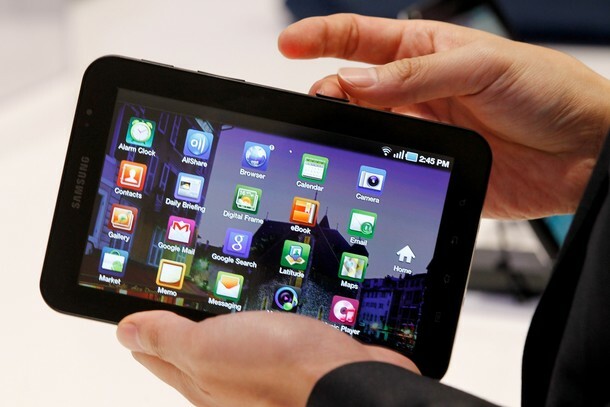 but more compact than the original iPad with 9.7″ screen. This would make it more compact to carry around, the next thing it would really need as a communication solution is a good case. 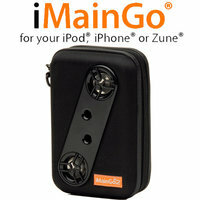 iMaingo make a case for iPod Touch and iPhone which includes built in speakers which boosts the volume when using it as a communication aid and also gives you more to grip onto. 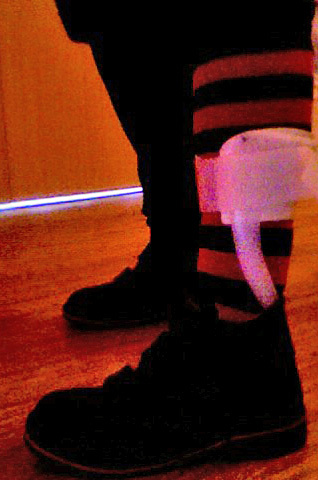 This would be a good solution with a shoulder strap so could wear it across body for someone able to walk and also for wheelchair user who didn’t want a large device mounted onto their chair. Personally I can’t wait for more news on this one, I’m keeping fingers crossed it keeps phone functions and you don’t need mini SIMS or expensive monthly contracts to own one. Ideally I’d love one I could just stick my existing PAYG sim in.